What can be more charming and heart melting than a granddad and his grandson performing country music in front of a large audience? 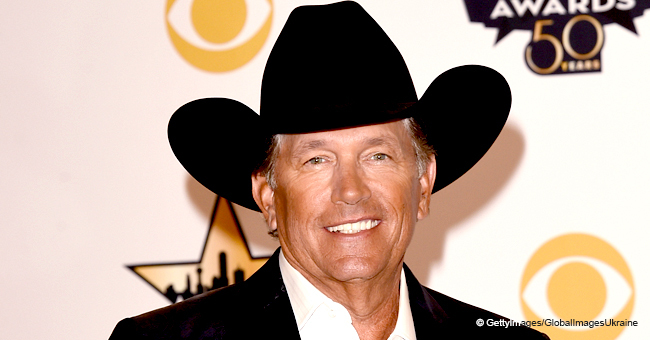 George Strait left the audience to figure that out after a soul-lifting performance of his tune with some help from his grandson. 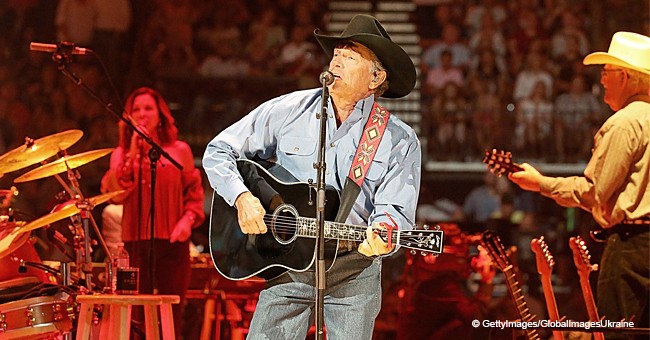 Sunday night of March 17 turned out to be a special one for George Strait, his grandson and the audience at the "Houston Livestock Show and Rodeo." The famed King of Country music brought on a special guest in his grandson, Harvey Strait to join him on stage and perform with him. 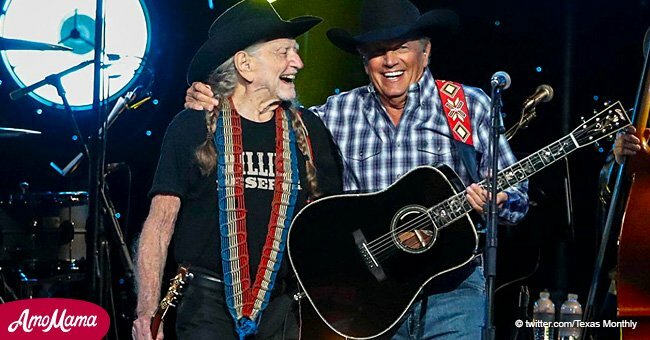 The “God and Country Music” singer created a record with his performance, as he performed for over 80,000 people at the Rodeo, setting a new NRG stadium record in the process. He added spice to the night with his grandson who also appeared on the studio version of the song. With the number of people and the bright lights at the venue, the audience would have had no problem forgiving Harvey if he bottled up under pressure. However, the young lad held his nerve and waited for his moment to arrive. George began the song and went on till the closing stages of the hit. Little Harvey ended the performance with his sweet tiny voice giving the song a beautiful climax. With the concert over, the young musician confidently waved at the crowd and took his leave, his grandfather watching and cheering proudly. The audience was pleased with what they just witnessed and cheered for grandfather, grandson and the beautiful performance. At this rate, it won’t be surprising to see Harvey go on to become a great musician in future; he has one of the greatest to learn from and has his feet in the right direction. The song “God and Country Music” is written by Luke Laird, Barry Dean, and Lori Mckenna and will be part of the 12 songs making up Strait’s forthcoming album titled “Honky Tonk Time Machine.” The album is due to be out on March 29. 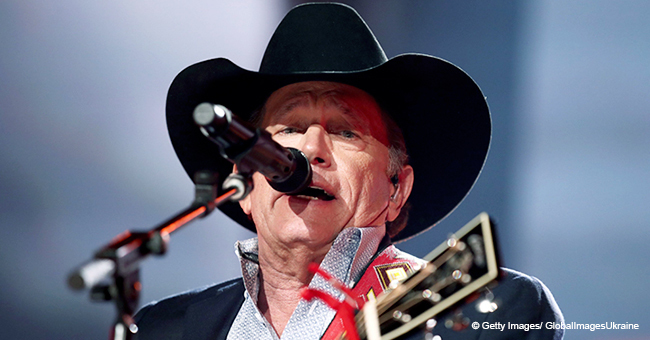 The Country Music legend is bound to have a busy schedule before and after the release of his new album. He will be live in Ohio on June 8, where he will headline the Buckeye County Superfest. 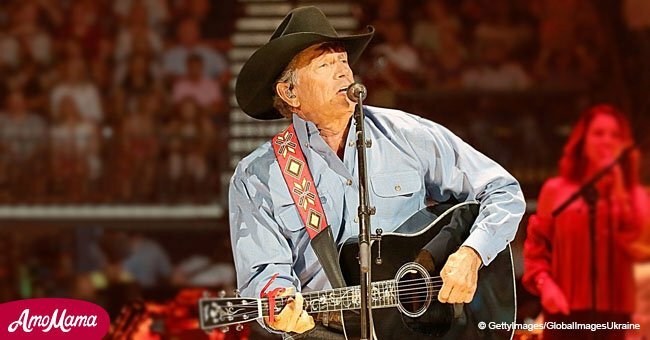 That is just one of many as November will also see him perform at Dickie’s arena in Fort Worth, Texas. It is left to see if he will take Harvey along with him on these performances; audiences will be itching for another glimpse of the young sensation.